At some time or the other, all of us have experienced bad mood. Mood swing is a very common phenomenon that most of us have experienced in our lives. At times we may feel low and upset, and do not feel like doing anything and that in turn, may spoil the present moment. Mood swing can become a serious issue at times and it may cause ugly fights between two individuals. But, sadly, most of the time, our mood is not under our control and so many of us do not even understand exactly what is to be done to boost the mood, calm down and feel better. However, there is a saying that when there is a will, there is always a way, and thankfully, there are ways to naturally boost your mood. I have personally experienced mood swings quite often, but then I take up measures to uplift and boost my mood. And trust me, most of the times, it works magically. If you are experiencing frequent mood swing and wondering if there are easy and natural ways to boost your mood, then here’s the post you can’t afford to not read. Today I am sharing everything worth knowing about how to boost mood, along with 21 easy ways to boost your mood naturally. These tricks have worked for me and I am sure it’s going to work for you, if you apply these tricks correctly. So, if you are tired of Monday blues and want to uplift your mood and live lively and happy, then read this post twice. You know, life of humans was much easier in ancient times, but nowadays things are getting more and more complicated which often makes our life hard. And, in difficult situations, the part of our system which gets affected the most is our mind. Be it stressful circumstance to health issues, it is our mood that always has a direct impact of life situations. If you are a strong individual, then probably you can still be able to fight back but there are many who fall victim to unfavorable situations which cause mood swings and sometimes severe depression to the point that one feels like taking his/her own life is the best solution. There are many psychological issues that need medical attention but to solve the common and regular day to day bad mood situations, one can come out easily. 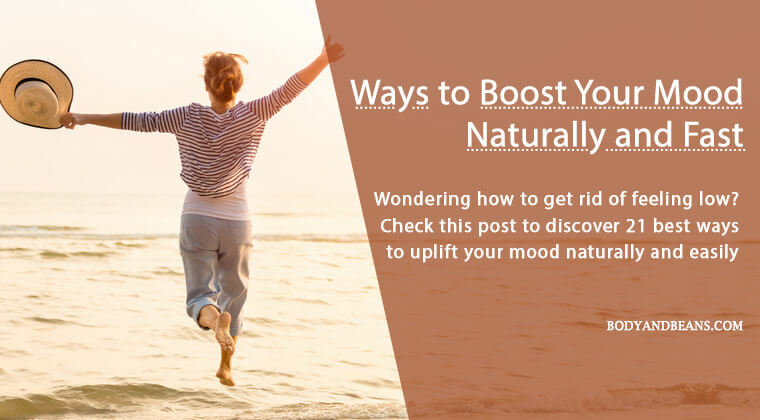 All you need to do is to calm down a little and find ways to uplift your mood, and if you are not sure how to get it right, then check out the best hacks I am discussing below that should you to boost your mood naturally and fast. So are you ready to uplift your mood now? I heard you saying yes, so let’s dive in and learn the hacks to uplift mood easily. Our mind is literally its own guide, and most of the time we do not even understand what to do to make us feel happy. We all face good moments and bad moments and sometimes these bad moments give you the confidence to make yourself stronger and fight back. Remember, if you do not help yourself, no one will, so whenever you feel very upset or down, do try some of these tricks to boost your mood naturally and fast. When you are feeling low, one of the easiest natural ways to boost your mood is by talking to your trusted friends and family members. This works as we often pent up the emotions within ourselves and never express truly which increases the mental trauma. But, if you have a close friend or a family member whom you trust, you must speak your problem out to him/her as sharing will help you calm yourself down. It will act as a relief and will help you to uplift your mood easily. Many people have this nature of constantly blaming themselves for every wrong thing that has happened in their lives. This is bad as such individuals feel all the more upset and often feel like putting an end to their (meaningless) life. Well, let me tell you that unless you start loving yourself and stop feeling pity or guilty all the time, you will never be able to fight back. You have to be strong and take enough care of yourself. When you start this practice of self-care, you will automatically feel livelier and happier. When you are feeling upset and really low, try to be strong and focus on the positive and the brighter aspects of life. Like for example, you may feel very unlucky and unfortunate that something wrong has happened with you, but have you ever thought of people who are in even worse situations. There are many other suffering souls on Earth who does not have the things which you have been gifted in life. So, be happy that you have been lucky in several other aspects of life and try to concentrate only on those positive aspects and leave behind the negative thoughts. Looking at positive aspect can magically help in keeping your mood uplifted. Sometimes, you get so pissed off or upset, that it creates a disruption in your normal day to day life especially when it comes to sleeping, not having proper sleep can actually increase your problem. In fact, studies have shown that if you do not get proper sleep, it is going to worsen your mood. So, no matter how low you are feeling, you need to have that proper sleep as that will help you feel fresh and will motivate you to start a new day with positivity, energy and vigor. Here’s a detailed post about how to sleep like a baby when you are stressed and I suggest you read this post. If you are upset and you are sitting alone in a dark, gloomy room, do you think that will improve the situation? Well, certainly not, such an environment will make you all the more upset. But, if your room is bright, colorful and sunny, then automatically it will give a boost to your mood and instill a positive feel. You will feel the energy of the sunny bright atmosphere. So, you feel sad next time, open the windows, remove the curtains and let the natural light and air in. If you got pets at home, playing with them whenever you feel upset can quickly uplift and boost your mod, as it is one of the most effective ways to feel good and naturally feel happy. Be it the dog or the cat or some other pet, when you spend time with them, the feel-good hormones of your body like serotonin, oxytocin and prolactin will be released automatically and your level of stress hormone cortisol will be lowered. This will automatically uplift your mood and make you feel happy. Eating chocolate is one of the most recommended ways to boost your mood naturally and fast and studies have confirmed this as well. I mean, come on, I know it has got calories but when you are upset, for a moment it is important that you forget a bit about the calorie and just enjoy the delicious flavor of the chocolate and be happy. The main reason behind chocolate helping in boosting your mood is the presence of tryptophan in it which increases the production of the feel-good hormone serotonin in body which automatically makes you happy. In fact, it is my personal observation that even the taste, smell and the texture of the chocolate is enough to make an individual feel good and happy. Distracting yourself from the negative thoughts is one of the most effective ways to boost your mood quickly as even if it is for a brief moment, it will help you forget the pain. And, the perfect way to keep yourself distracted is by engaging yourself in your favorite hobby or pastime. For some, it may be painting, singing, dancing, reading story books etc. Trust me, it works and so you must try this out to uplift your mood. You may have the feeling that when you are upset, you will not even feel like doing exercises but that is a wrong concept, as exercise will actually make you feel better. Studies have already shown yoga to be an effective strategy to get rid of the negative thoughts and depression in general. One of the vital reasons why yoga and exercises work is because it helps you in combating stress, anxiety, nervousness which are the basic factors leading to mood swings. Exercise will kind of act as a vent out of the negative energy and hence will slowly make you feel better, relieved and happy. Besides the chocolate remedy, this is also my favorite remedy as whenever I feel down, I start listening to happy and rocking music and trust me, it helps a lot. Music has this ability to instantly make you feel elevated and happy and also helps you forget the worries and negativity for the moment. I want you all to try it because it really is beneficial. You can even sing yourself or dance a bit with the tune of the song for added benefits. You need not have to be perfect with the steps or with the words or the tune of the song, what is more important here is to instill the happy feeling of the song within you that will cheer you up. In situations where you are upset, physical touch of a person who is very close and dear to you works great. This is because you do not feel lonely and understand that there is someone who cares for you and will be there for you through thick and thin. This feeling is enough to give a boost to your mood and make you feel happy. You just have to go and hug your closed ones, which can be your friend, your lover, your mother, your dad or any other person whom you are very much attached to. It works magically and within minutes, it will make you feel lively and boost your mood positively. Well, it is not just chocolate that can make you happy, but your favorite food item can also do the magic. You may do the cooking yourself or may run to your nearby restaurant and order your favorite dishes. Trust me; good food is a great way to make you feel better. However, apart from your favorite food item, there is also a specific list of food that particularly helps in mood upliftment. 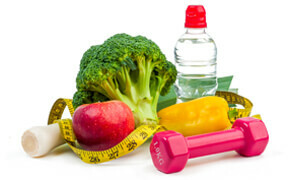 We have a detailed post about the best foods to lift mood that I suggest you read this post. This remedy is perfect for individuals who love styling themselves and dressing up. The main reason is it makes you get involved in self-care and grooming which is beneficial in boosting your mood. After all, if you look good, it will automatically give a boost to your self-confidence and help you cope up with the mood swing and negative thoughts. Remember to wear your favorite clothes and the more colorful and vibrant you look, the happier and colorful your mood will become. Individuals find it hard to laugh when they are upset or stressed out, but getting a good laugh is one of the best remedies to uplift your spirits and studies are a proof of it. The reason behind it is that when you laugh, the level of dopamine increases in your brain, which is actually a chemical instrumental in elevating your mood. In addition, laughter also increases oxygen level in our system which helps to cool the stress response system, leading to a relaxed and positive feeling. Now, you must be thinking how to laugh without a reason? Well, you can simply do anything that in normal circumstances make you laugh. You may think of some funny incident, or go to the YouTube channels and watch some funny videos, funny movies etc. once, you laugh your heart out then you will certainly feel good. Here, by helping someone, you are actually helping yourself. Confused? Well, when you are feeling low, go and help someone who is needy, be it in the means of charity, donating blood or any other kind of help to someone who really needs it. Trust me; being helpful to someone else will actually arouse a nice feeling inside you. You will understand that you have done something good and you can be proud and happy about it. Any kind gesture towards others will make you a better and happy person even in tough situations. Instead of just wasting your time crying and pondering over the negative thoughts, you can actually try to focus on something productive. That can be anything starting from solving a puzzle or trying to solve any confusion related to work or just doing research on important topics etc. This sense of involvement into something which is productive will keep your sadness out of the way. You will be more focused and spend all your energy in achieving your goal and that will kind of give you a feeling of motivation. When you finish doing something creative or productive, then that will bring you immense happiness and satisfaction. It will seem like as if you have unknotted the problems of your life. And, even if you do not get success in the activity that you are doing, at least you will feel that you have tried your best and have not simply given up without trying. So, it is a good thing that you can do when you are feeling low. Decluttering is a psychological solution to your problem. Well, if you are surrounded by clutter, then it’s going to act like a reminder that there are many things in your life that must be sorted. But you are not finding the solution how to solve and sort them out. This will actually make you more upset and demotivated. But, when you start decluttering your living space, you will have that feeling that slowly, things are falling into place in your life and within a short while, you will correct every wrong that has been done to you or you have done. This will make you happy and will boost your mood. A neat, clean, spacious and organized room is a symbol of peace, settlement, discipline and happiness in life, so decluttering is an important hack that you can try. If someone has hurt you and you are too upset with that, I will request you to try to forgive that person. It may not be easy but you have to forgive the person who has done something wrong with you. Trust me, just by forgetting and forgiving; you will be helping yourself only. The more you feel that you have been wronged, the more upset and angry you will become which will take the peace and happiness from your life, so simply let go of it. You need to have a big heart to forgive someone but once you learn how to do that, it is a great relief. Always love yourself and know that you deserve better in life and so do not feel pity on yourself and instead forgive the person and gift yourself the mental peace your deserve. Who does not like gifts? Well, everyone does, so why not gift yourself something. I know that it feels even great when someone close to you give you a surprise gift. But when it comes to helping your own self when depressed, gifting yourself something that you love is one of the best ways to boost your mood. You may directly go to the mall for shopping or you can just sit at home and do some online shopping. We all experience that excitement when we buy gifts for ourselves and this very happy feeling will cheer you up. As it is you are upset and in such a situation, if you take a major decision be it about your life, work or any other thing, believe me, it is going to stress you out even more. Important decisions must always be taken with a cool and calm mind and if it is taken when you are already feeling low, it can actually affect a lot in the decision making and who knows you may end up taking a wrong decision which you may regret later. So, when you are upset, please avoid taking major decisions. It is a general tendency of many individuals to go for alcohol or drug addiction when upset. But, I can bet it is not a good idea and it can actually have many negative impacts both emotionally and physically. The alcohol and drug actually affect your brain chemistry and cause troubles in work, relationships and other aspects of life. To be more specific, drinking alcohol or going for drugs when upset is like going deeper into the problem instead of coming out of it. A glass of wine occasionally is not that bad, but you should avoid it when you are depressed. And, as far as drugs go, say NO to drugs in any circumstance. In our day to day life, we face so many situations which can affect us a lot and make us depressed. It actually depends on the kind of person you are as all of us may not react similarly to a particular situation. Mostly, if you have an emotional nature, then you are going to get hurt and upset over small issues whereas if you are much practical in life, you may be able to let go of the whole matter and move on. Mood swings and emotions are something which is not under our control and so you may be happy now but at the very next moment, something may upset you. Depression or low feeling or sudden mood swings is not just related to the circumstances occurring in your life or surroundings. Like, for example, if you are sick, that itself can make you feel low and upset at times. In tough situations, your closed ones can help you a lot in cheering you up but luckily, there are ways where you can help yourself and uplift your mood. I have already talked about 21 of the most effective ways to boost your mood naturally and fast. These are very easy hacks and work wonders when you are feeling low. You basically have to do things that will bring the positivity and the happy feeling back in you. Be it with music, involving yourself in your favorite hobby, taking care of yourself, venting out your negative thoughts, laughing your heart out etc., you have to try out ways that will help you pass through the bad phase and make you cheerful again. A little effort on your part can make a huge difference and also improve your life in general. You have to learn to focus only the positive things that you are blessed with and remove the negativity from your life. After all, if you are happy yourself, you will be able to keep the people surrounding you equally happy. Being upset is never a solution to any problem. Sometimes, bad circumstances do affect us but you have to get yourself out of it as early as possible for your own sake as well as for your close ones who care for you. If you are constantly experiencing low feeling, then you may like to try out the easy ways to boost your mood naturally and fast that I have talked about in detail today. These are really effective and it will help you bring your life back in the right track. Afterall, self-help is the best help and there cannot be any alternative to it. How do you get rid of feeling low? Share your hacks of uplifting your mood. And finally, if you like this post then share it and earn good karma. I love this list! It’s sometimes easy to forget we can control how we feel by doing everyday things. Pingback: How to Get Rid of Migraine Headache using Home Remedies?